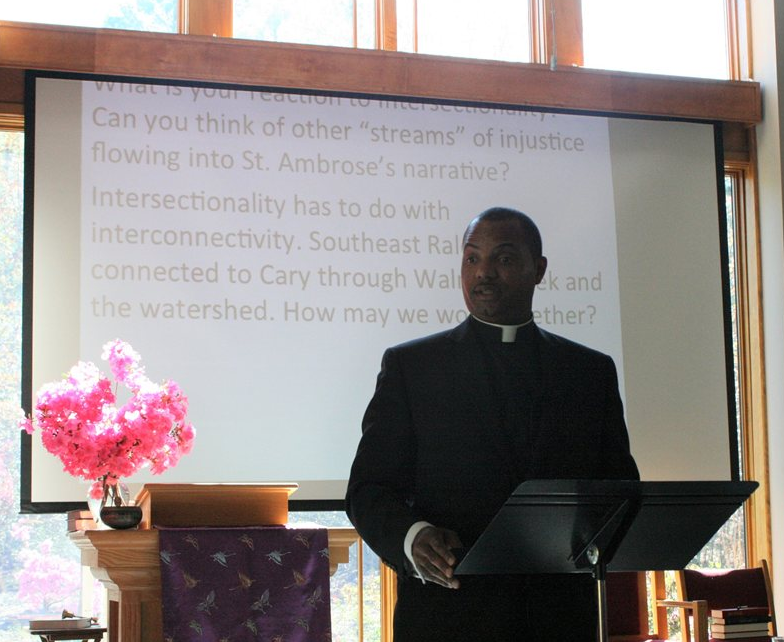 Good Shepherd UCC began our Holy Season preparation with an examination of race and community with our sister churches Cary First Christian Church and Covenant Christian Church. 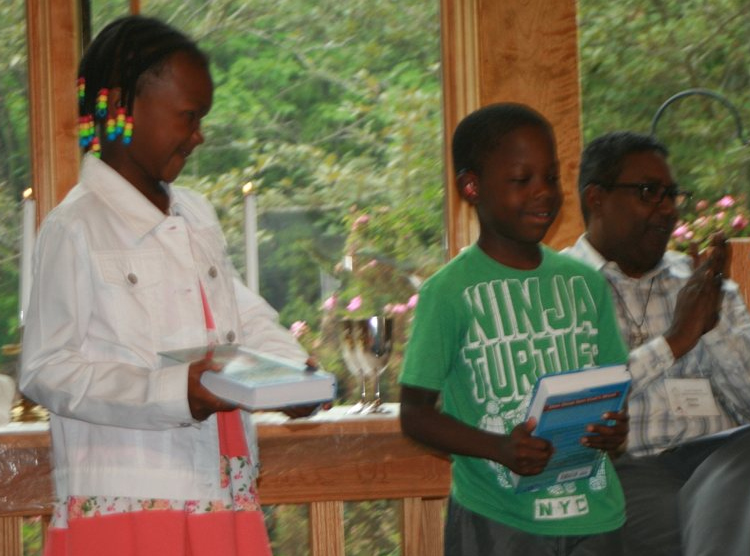 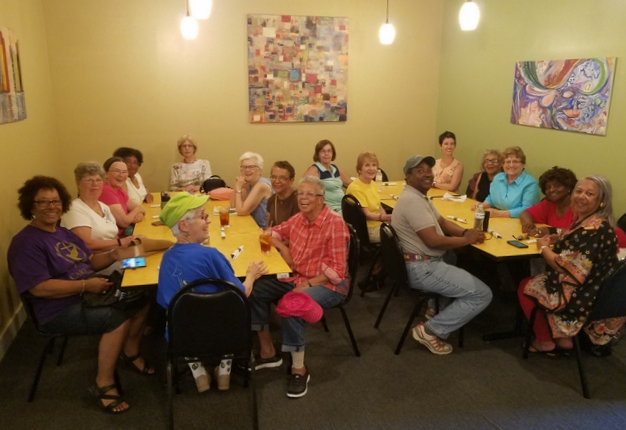 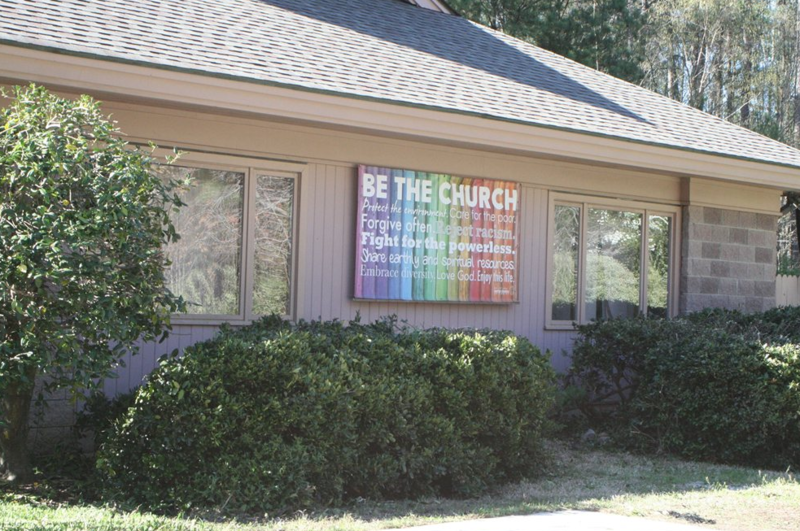 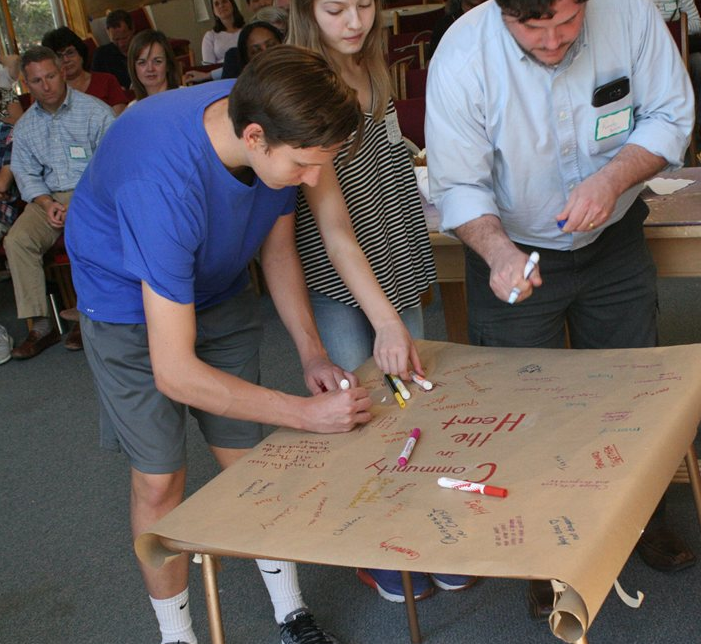 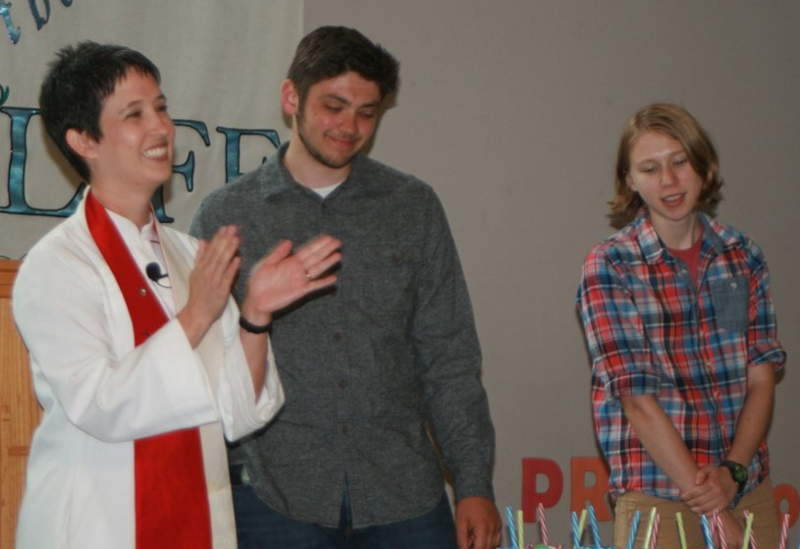 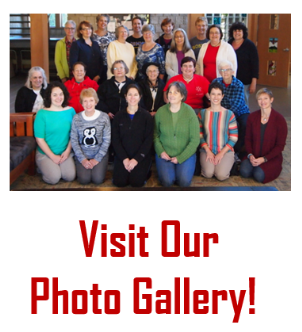 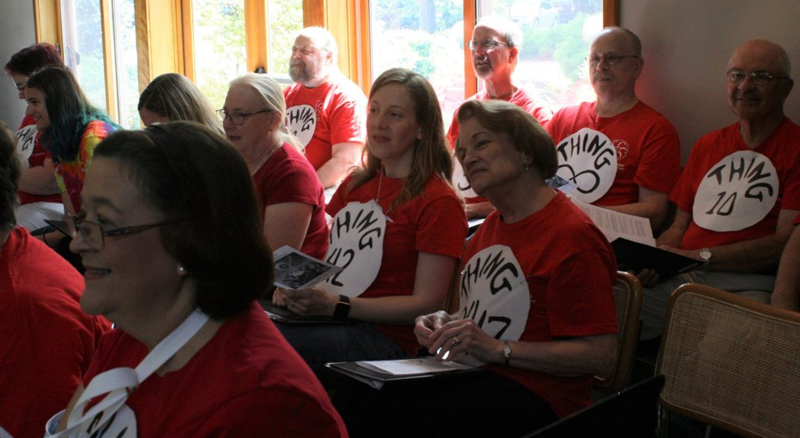 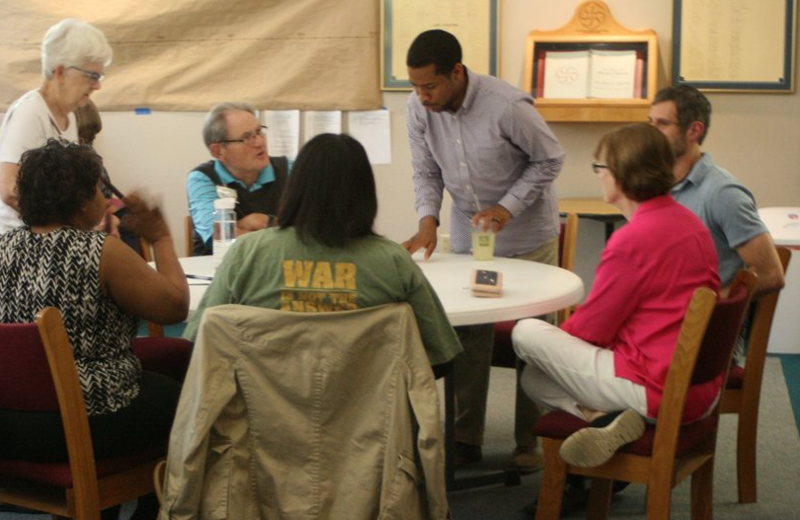 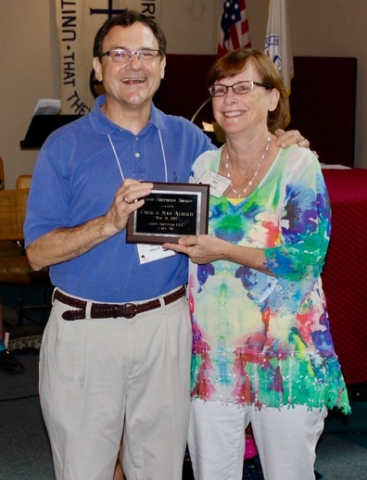 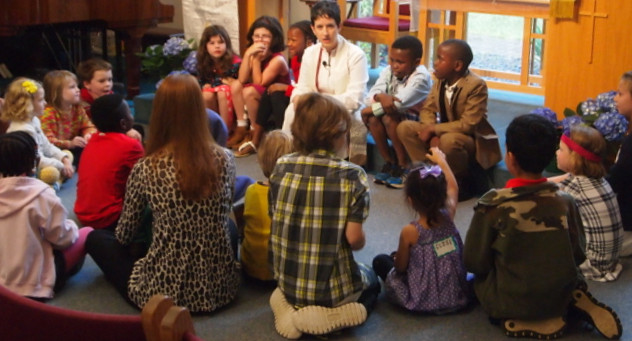 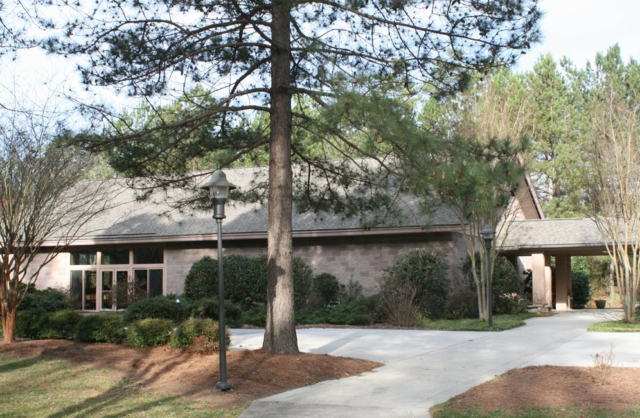 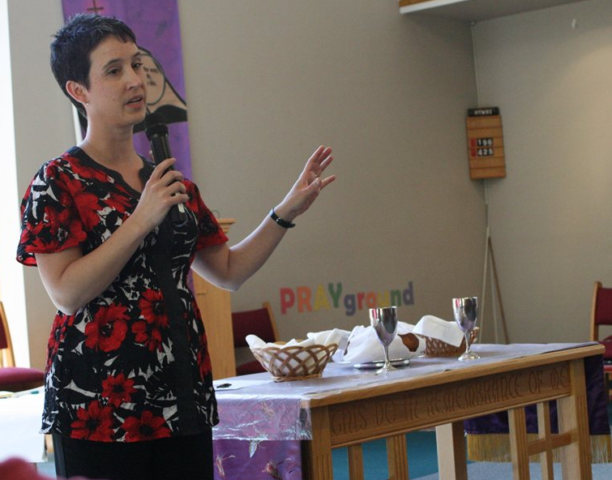 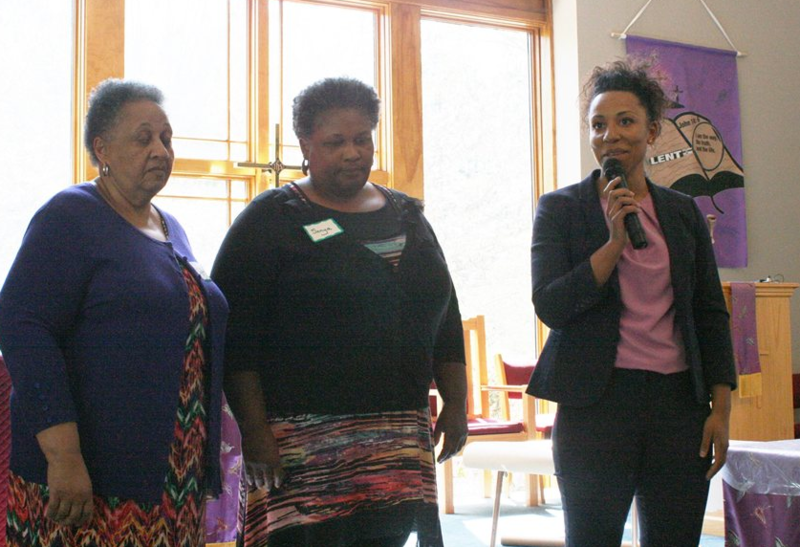 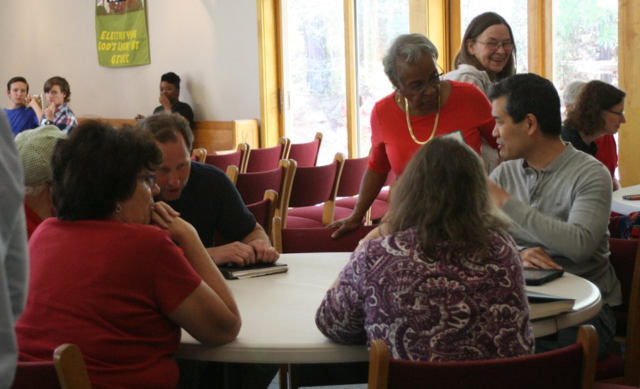 Community In The Heart Of Christ was a multi-week program that explored the intersection of race, faith and community involvement, through conversation, workshops, special speakers and group interaction. 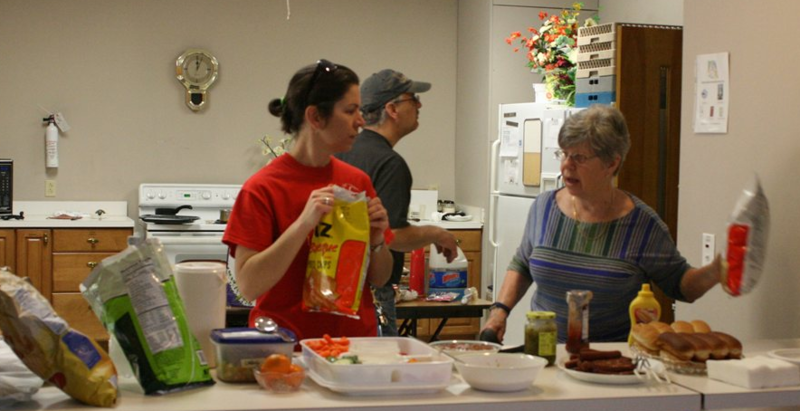 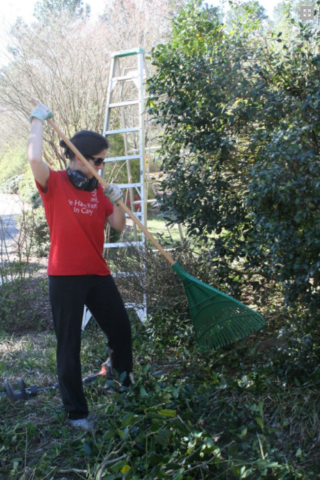 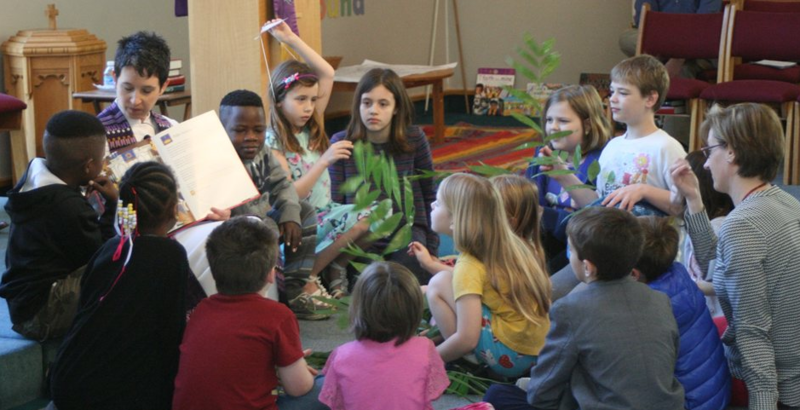 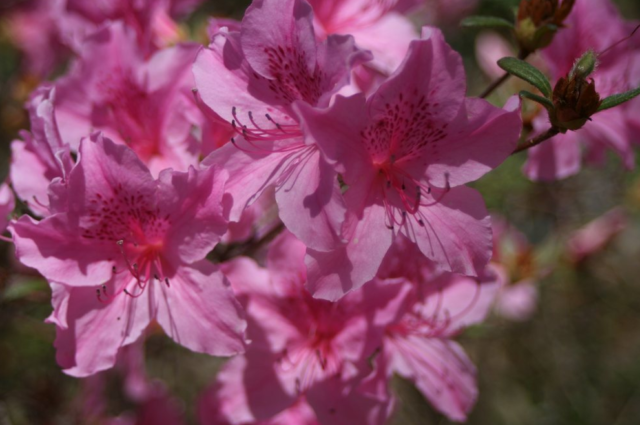 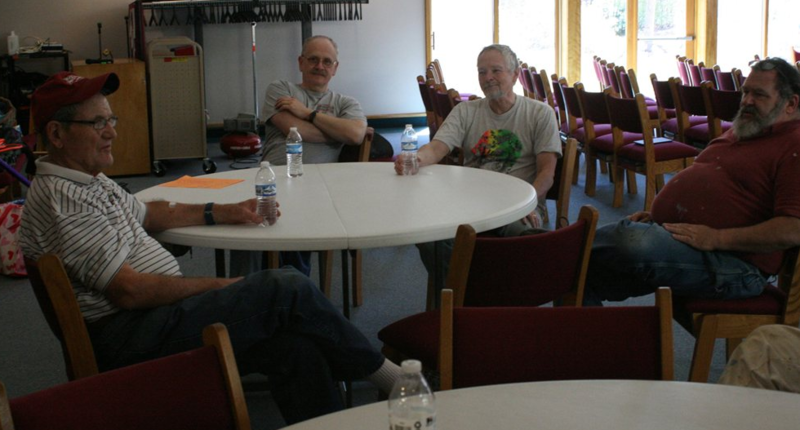 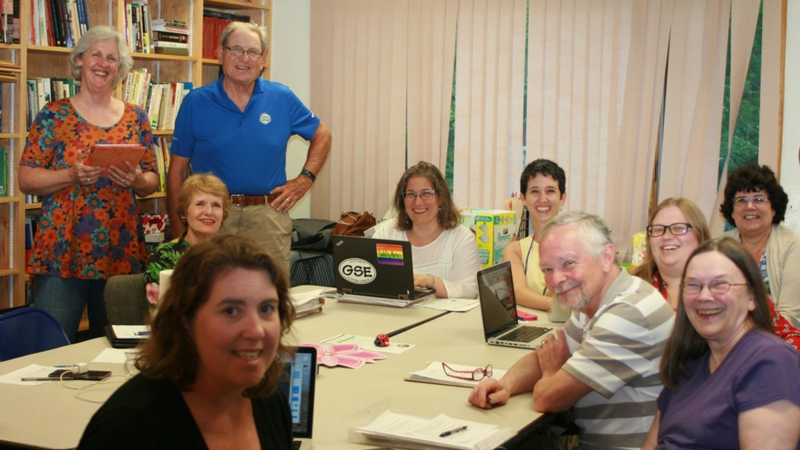 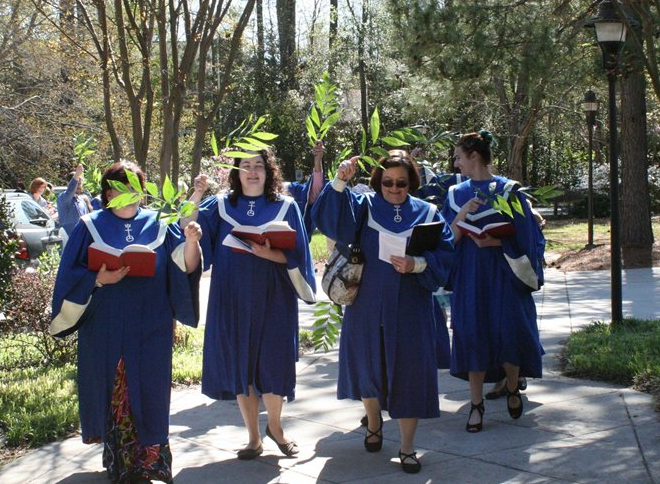 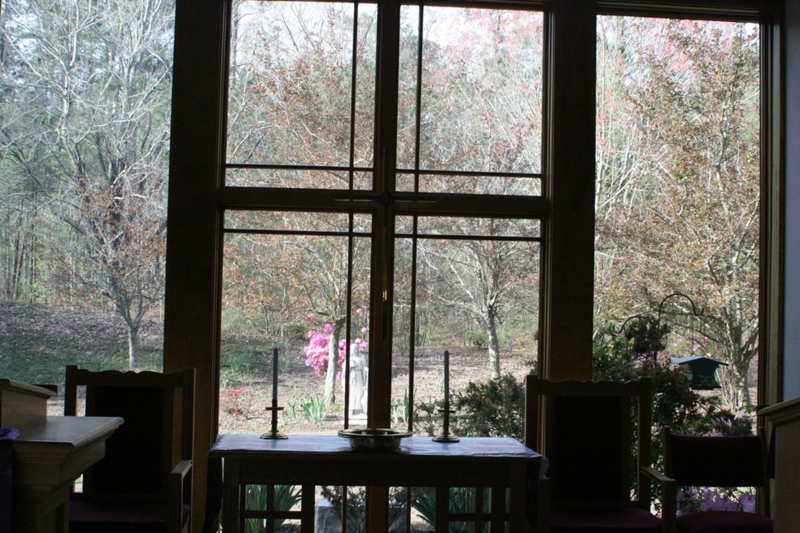 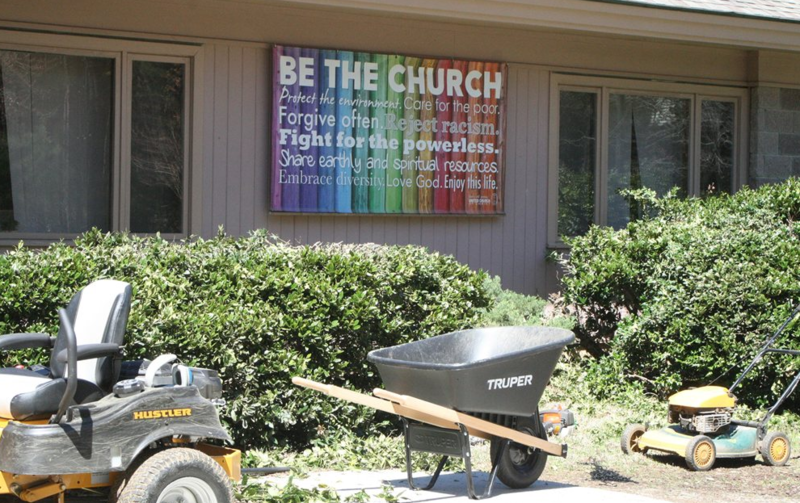 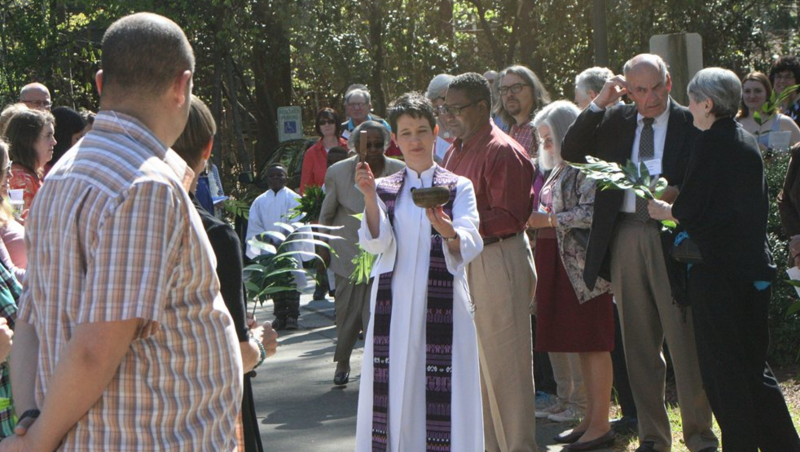 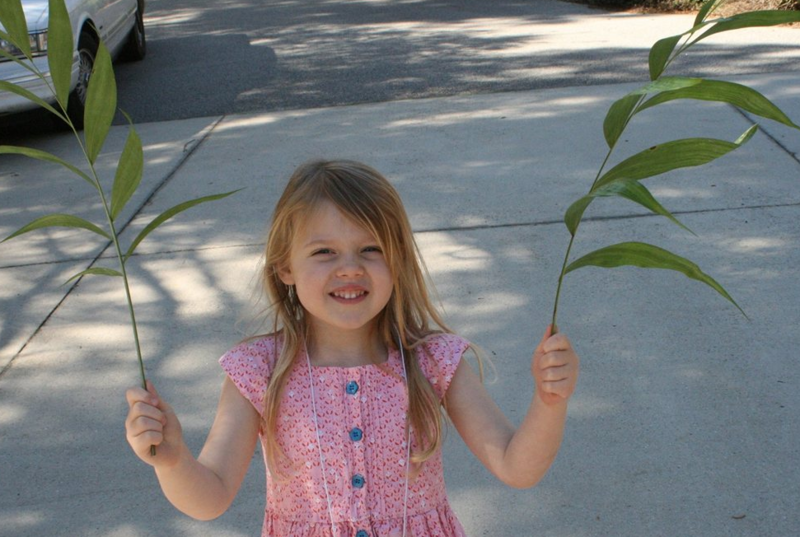 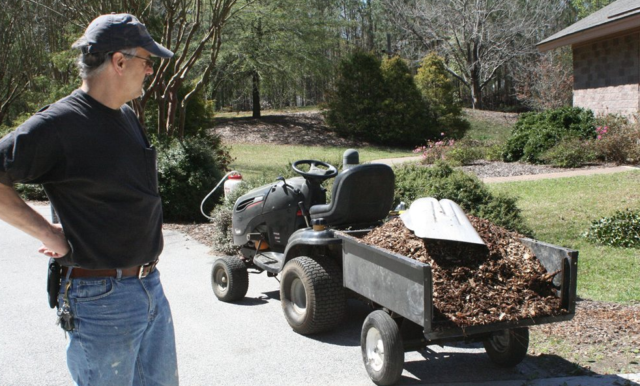 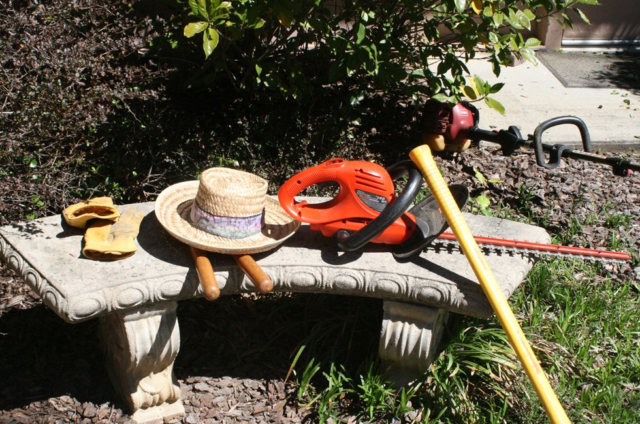 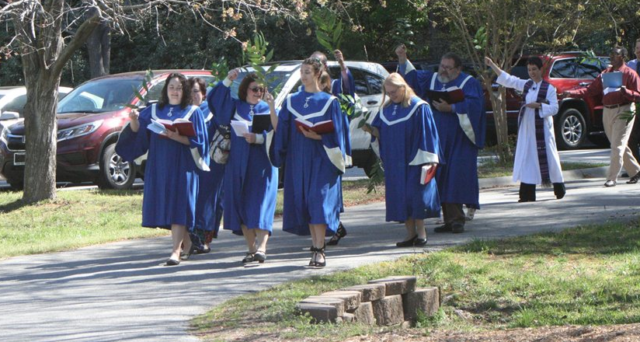 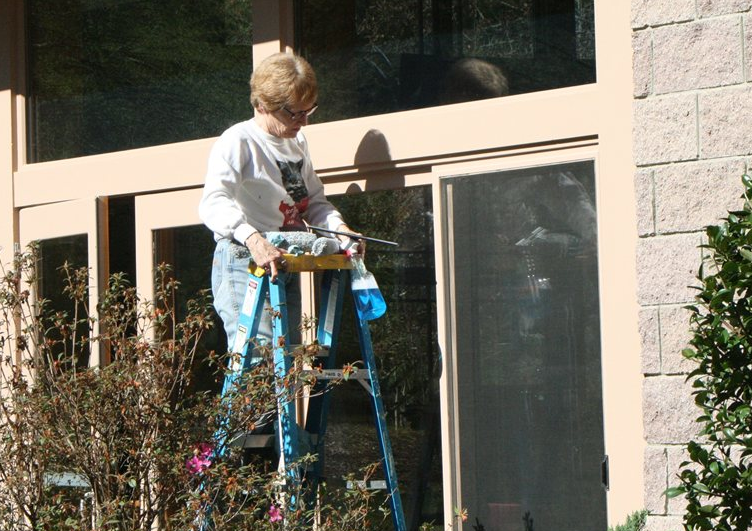 GSUCC also held a Spring Workday to prepare for Palm Sunday and Holy Week. 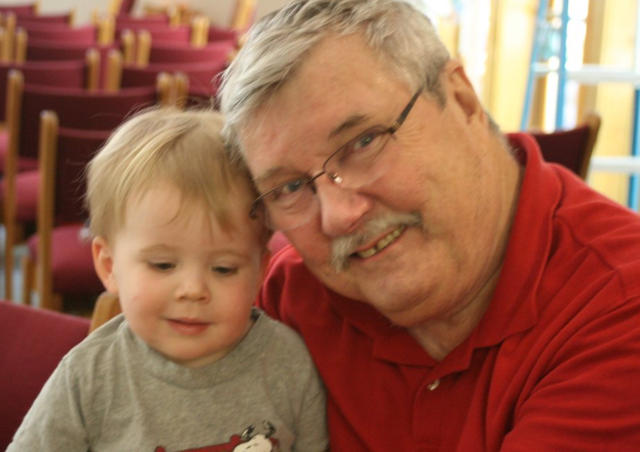 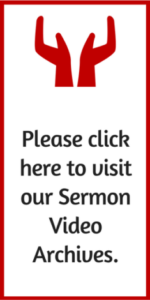 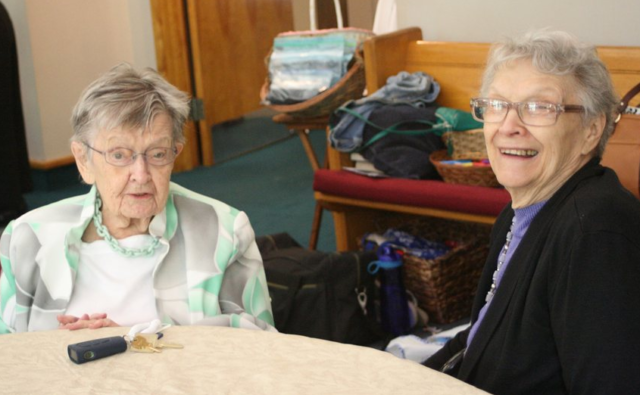 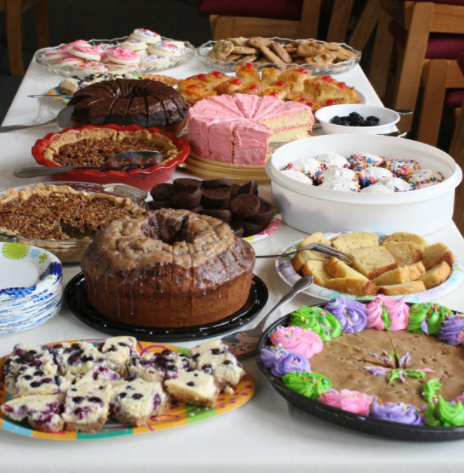 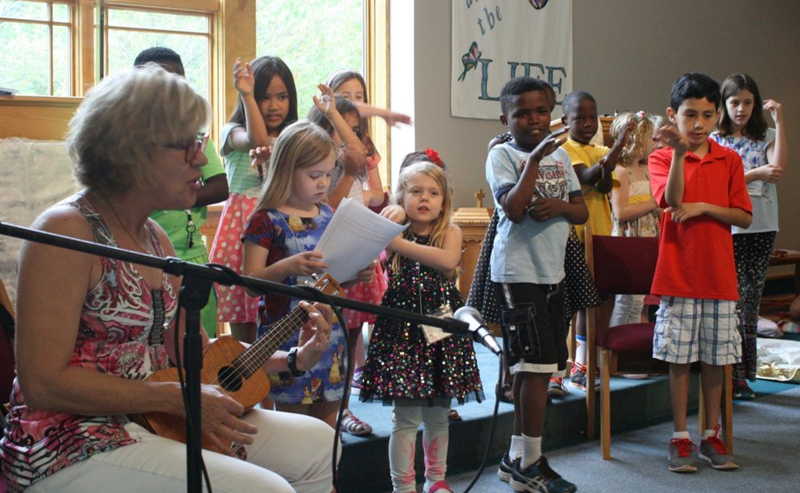 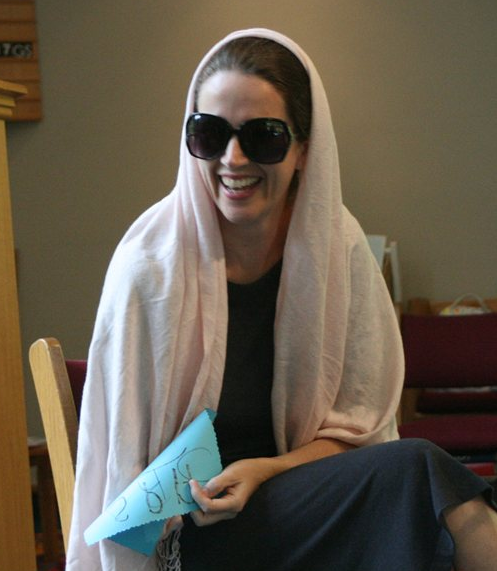 A relatively new tradition at Good Shepherd is Holy Humor Sunday. 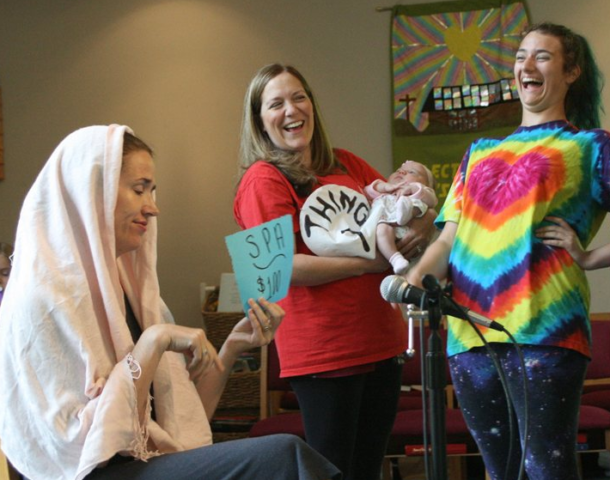 Held shortly after Easter, this is a light-hearted worship experience, filled with skits, group participation and lots of laughter. 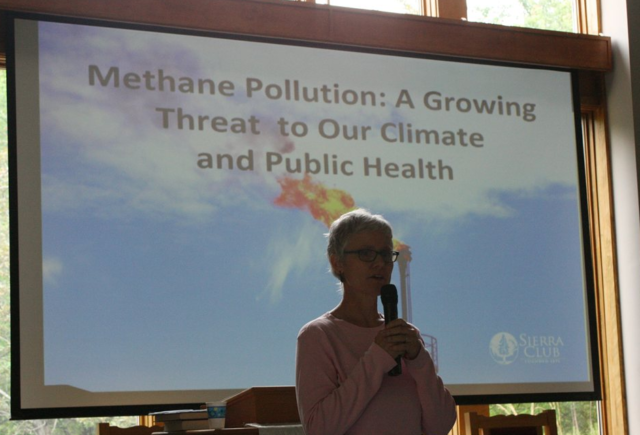 On a more serious note, our Caring For Creation team hosted an enlightening presentation about methane and potential pipelines in the region. 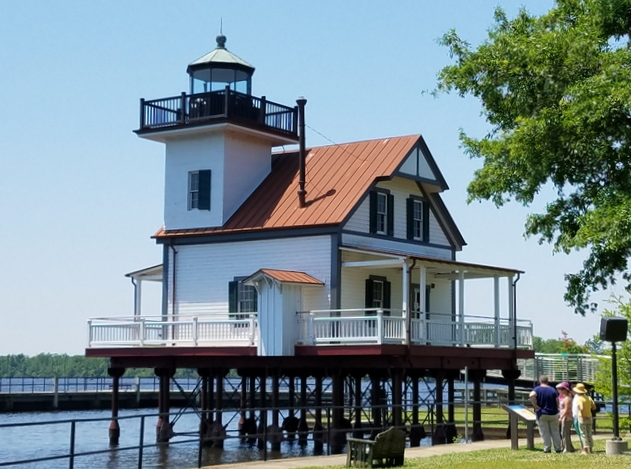 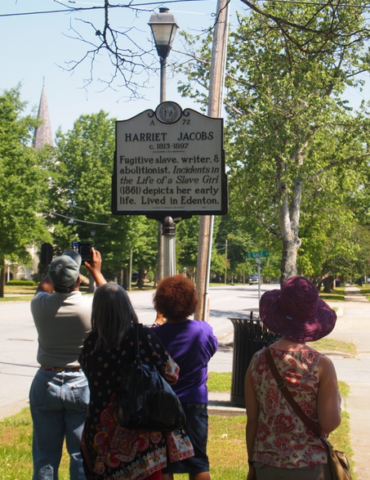 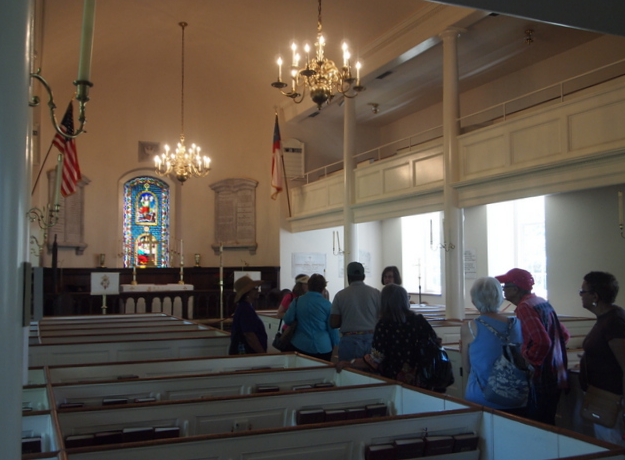 A group of GSUCC members and friends did a Saturday tour to Edenton, where they learned more about Harriet Jacobs, a woman who escaped from slavery and wrote a memorable book about her experiences. 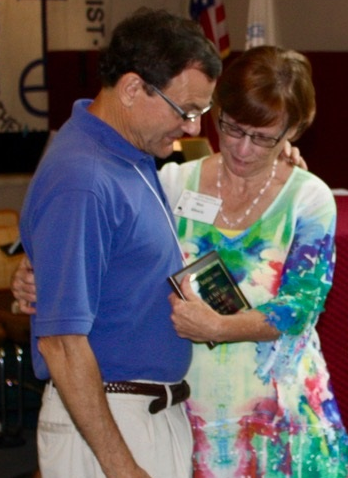 We also honored long-time members Chris & Nan Alberti and Linda Velto as recipients of the church’s prestigious Good Shepherd Award, and recognized our rising 3rd graders and graduates.